Is the famous Turkish musician Arif Sag just a hot headed Turk who just can’t deal with the fact that he needs to follow certain rules to enter the Netherlands? Or is his frustration about the treatment he got from the border control at Amsterdam Schiphol airport justified, and part of a bigger problem, namely the illegal way Turks are hindered from travelling to the EU? The latter. Arif Sag, who had all his paperwork in order and entered the Netherlands a few days earlier without any problem, had an invitation to come to the Netherlands: he was going to give a concert as part of the celebrations of 400 years diplomatic ties between Turkey and the Netherlands. Officially we are supposed to find that worth a party, but in practice it doesn’t look like we take our friendship with the Turks very seriously. In this case that lead to personal frustration, but in general it has been angering the Turks for years already – and with good reason. With good reason? It’s just European rules that require Turks to have a visa to travel to Europe, isn’t it? Well, no, it isn’t, and that’s the big misunderstanding here: a 1963 treaty between the then EEC and Turkey requires both sides to refrain from introducing any restrictions on freedom to receive and provide services. That includes trade, but also for example study, tourism, and cultural exchanges. At the time the Netherlands was one of the eleven European countries that had no visa requirements for Turks who wanted to come to the Netherlands. All restrictions that form the current policy were introduced after the treaty. So they are against the treaty, and thus illegal. In the last couple of years, several European judges have confirmed with their rulings that the visa restrictions for Turks are not legal. Dutch judges too. But no European country has since had the decency to turn those judicial rulings into legally binding policies. Meanwhile, Europe in general and the Netherlands especially do not pass up any opportunity to lecture the rest of the world, including Turkey, about the importance of the rule of law. Something else contributes to the frustration of the Turks. Civilians of five Balkan states are permitted to travel to the EU without visa, and none of these countries is negotiating on EU membership. For Moldavia and Ukraine the so called ‘visa liberalization process’ has started: both countries having no chance for EU membership in the near (or distant) future. For Turkey, not even the liberalization process has started yet, even though Turkey has been negotiating for EU membership since 2005. Europe didn’t dare to go further than a ‘dialogue about visa, mobilisation and migration’, which in fact means nothing. In the meantime, the Turks have taken significant steps to meet European standards, like introducing biometric passports. And this all out of fear. Fear to displease the voting masses. 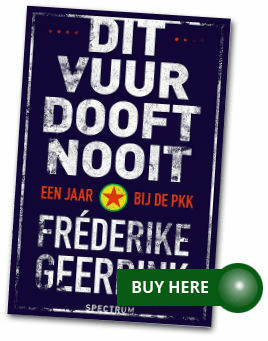 Fear that large numbers of Turks will flood the Netherlands. That fear is unfounded. Yes, many illegal immigrants cross the Turkish-Greek border, but those are not Turks but mainly Afghans, Ethiopians and Pakistanis. Besides, Turkey is doing well economically, and it’s utterly arrogant to assume that thousands and thousands of Turks would want to change their own country for the increasingly xenophobic Europe. Research also shows that this flood will not come (apart from on the tourist level, which will help the European economy!) and statistics show that, on the contrary, more Europeans nowadays seek their economic fortune in Turkey. If the Netherlands really wants to reaffirm the friendship with Turkey after 400 years of diplomatic ties, than it should get rid of the illegal visa restrictions as soon as possible. I absolutely understand the frustration of the Turks and of Arif specifically, and I agree on everything said above except for this: Civilians of five Balkan states are permitted to travel to the EU without visa, and none of these countries is negotiating on EU membership. eu signed an agreement with an another kind of turkey.. at that time turkey had a population of 29 million.. now it is 80 m. while eu keeps appr. the same number.. how to deal with such a country.. don’t you see how much turkey deteriorated inside with the population flow from the east? eu shouldn’t be so fool accepting such a backwarded, unhumanistic crowds from turkey!! keep europe beatiful! @ibrahim ünlü, you are living in past!